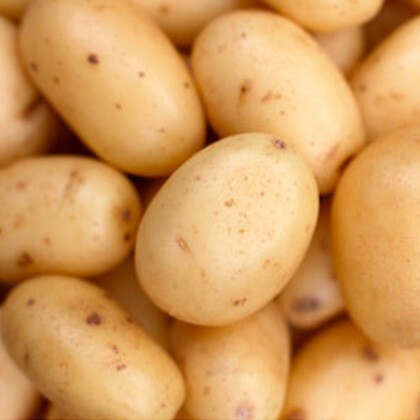 The variety of Vivaldi potato is an early (semitemprana) variety from the family of the Monalisa. Medium size, light yellow skin and oval shapes, presents very shallow eyes. It is characterized by its high quality and multipurpose use for any type of dishes. The potatoes come from an association of farmers in Valencia, who labor their fields on the "Valencian Huerta", next to the Mediterranean see. They own the whole process, since the production of the seeds, which also come from the "Valencian Huerta".